TWO Berwick businesses are offering a helping hand to people with complex health issues. 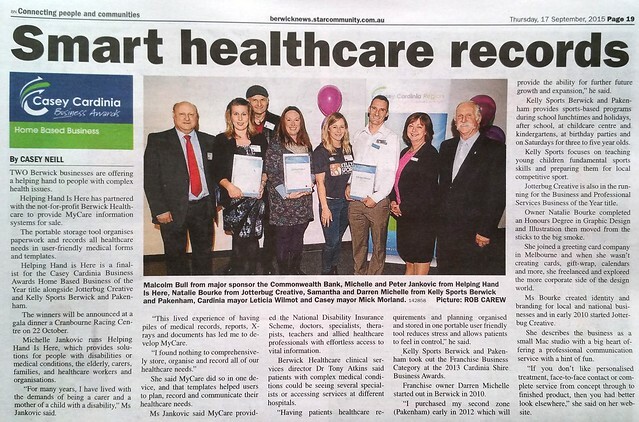 Helping Hand Is Here has partnered with the not-for-profit Berwick Healthcare to provide MyCare Information Systems for sale. The portable storage tool organises paperwork and records all healthcare needs in user-friendly medical forms and templates. 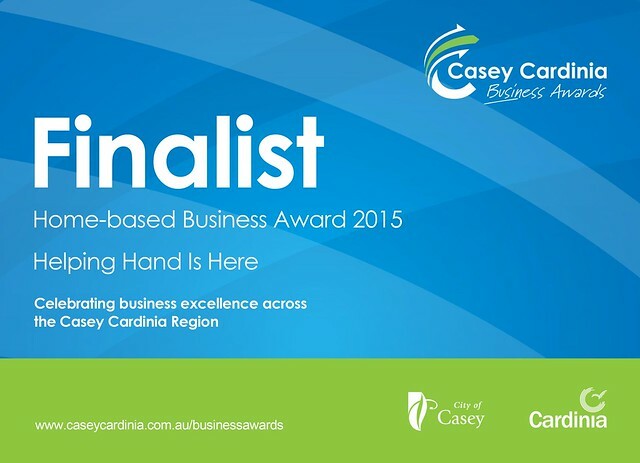 Helping Hand Is Here is a finalist for the Casey Cardinia Business Awards Home Based Business of the Year title alongside Jotterbug Creative and Kelly Sports Berwick Pakenham. The winners will be announced at a gala dinner a Cranbourne Racing Centre on 22 October. Michelle Jankovic runs Helping Hand Is Here, which provides solutions for people with disabilities or medical conditions, the elderly, carers, families and healthcare workers and organisations. For many years, I have lived with the demands of being a carer and a mother of a child with a disability, Ms Jankovic said. “This lived experience of having piles of medical records, reports, X-rays and documents has led me to develop MyCare. I found nothing to comprehensively store, organise and record all of our healthcare needs. She said MyCare did so in one device, and that templates helped users to plan, record and communicate their healthcare needs. Ms Jankovic said MyCare provided the National Disability Insurance Scheme, doctors, specialists, therapists, teachers and allied healthcare professionals with effortless access to vital information. Berwick Healthcare clinical services director Dr Tony Atkins said patients with complex medical conditions could be seeing several specialists or accessing services at different hospitals. Having patients healthcare requirements and planning organised and stored in one portable user friendly tool reduces stress and allows patients to feel in control, he said. 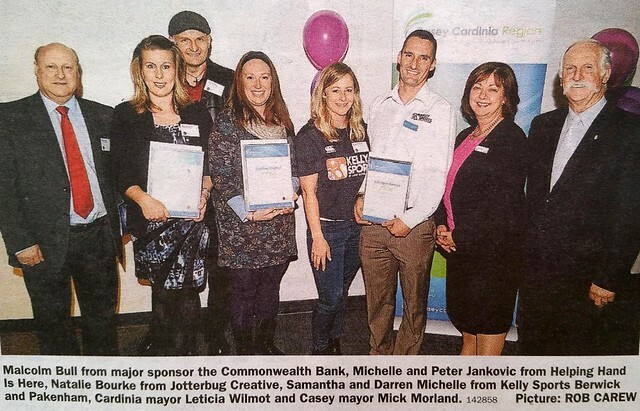 Kelly Sports Berwick and Pakenham took out the Franchise Business Category at the 2013 Cardinia Shire Business Awards. Franchise owner Darren Michelle started out in Berwick in 2010. I purchased my second zone (Pakenham) early in 2012 which will provide the ability for further future growth and expansion, he said. Kelly Sports Berwick and Pakenham provides sports-based programs during school lunchtimes and holidays, after school, at childcare centre and kindergartens, at birthday parties and on Saturdays for three to five year olds. 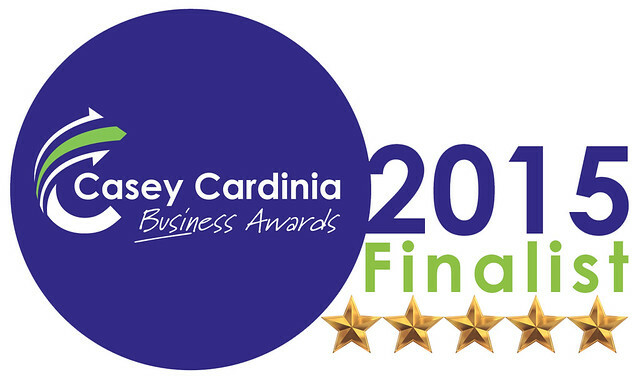 Jotterbug Creative is also in the running for the Business and Professional Services Business of the Year title. Owner Natalie Bourke completed an Honours Degree in Graphic Design and Illustration then moved from the sticks to the big smoke. She joined a greeting card company in Melbourne and when she wasn’t creating cards, gift-wrap, calendars and more, she freelanced and explored the more corporate side of the design world. Ms Bourke created identity and branding for local and national businesses and in early 2010 started Jotterbug Creative. She describes the business as a small Mac studio with a big heart offering a professional communication service with a hint of fun. If you don’t like personalised treatment, face-to-face contact or complete service from concept through to finished product, then you had better look elsewhere, she said on her website.